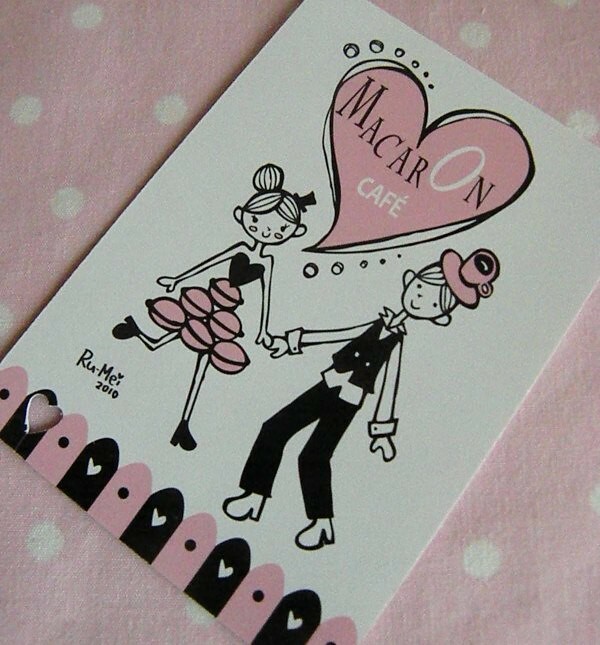 Remember my preview post last week (HERE) on my excitement for visiting the Macaron Cafe? 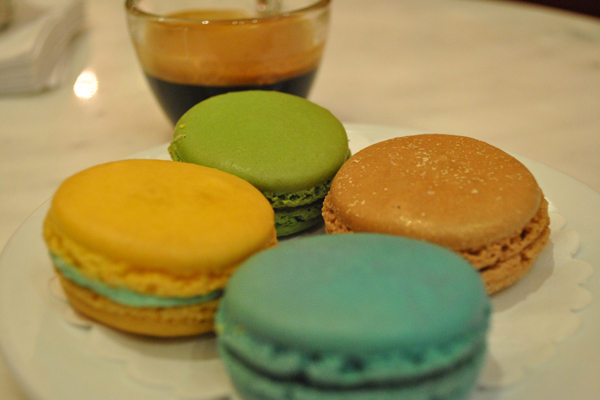 Well I went and visited the Macaron Cafe on 59th and Madison and all I have to say is YUM! First let me start with the negatives. 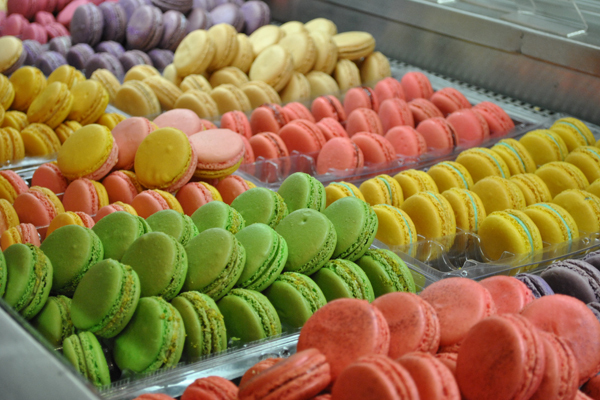 I had spoken with Leah from the Macaron Cafe the day before and mentioned that I was planning on stopping by their 7th Avenue and 36th location because it was closer to my hotel. She wanted me to stop by the Madison location since they were hosting a Fashion Night Out event but said the 7th Avenue would be fine and that she would let them know I'd be by in the am. So Thursday morning I set off on foot to indulge my taste buds. When I walked into the 7th Ave location I was horribly disappointed. It was insanely hot, the staff didn't greet me and wasn't pleasant at all. When I told them why I was there the one girl said "that's fine" and then walked out of the store! The man behind the counter ignored me. I was disgusted and sad because my dream wasn't what I expected. After not being waited on I quickly left. I really did not want to end on a bad note with the Macaron Cafe so I decided to walk to the Madison location. And boy am I glad I did so. 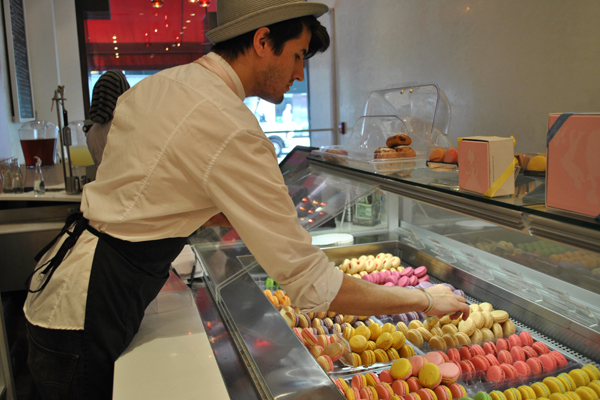 If you want to visit the Macaron Cafe- go to the 59th/Madison location! 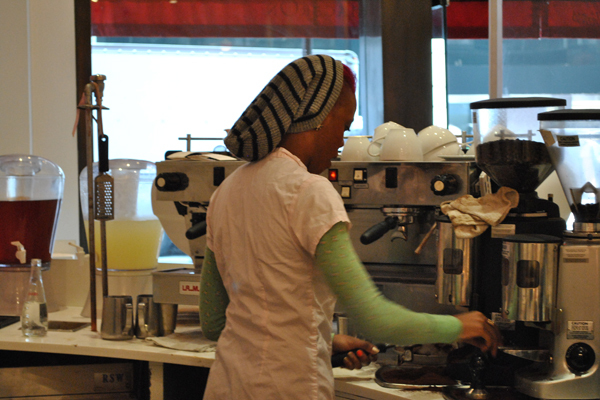 From the moment I walked into the Cafe I felt like I was in a quiet serene small town, not busy New York City. The store was very comfortable...a little small but that is expected in NYC. The atmosphere is chic and relaxed. The decor is very eye appealing with clean and crisp white walls with accents of pink and fun french touches. As soon as I walked in I was greeted with a pleasant hello and told they'd be with me in a moment. When I told them why I was there the girl told me to go ahead and snap pictures and if I wanted to step behind the counter I was more than welcome to. She than said she would get me a sample plate and a coffee if I would like. Talk about royal treatment! The two people working (sorry I didn't ask for your names!) were so friendly and talkative. 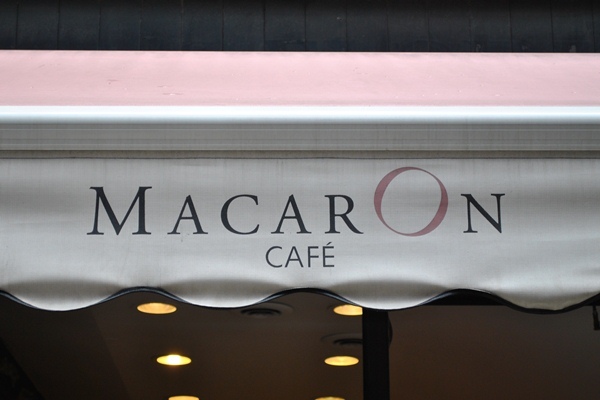 The seemed like they really enjoyed working at the Macaron Cafe. Onto the food: May I just say I have never tasted anything like this before. 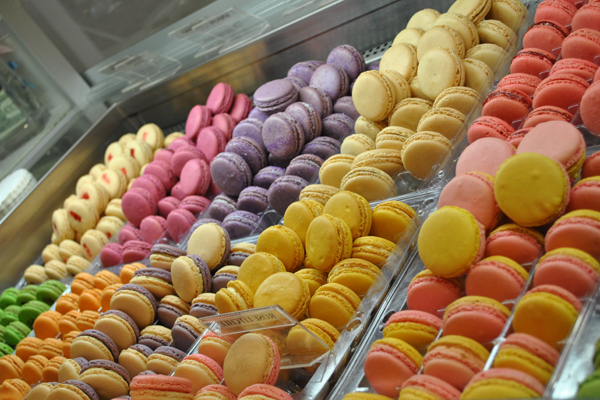 The macarons are heavenly, mouth watering, linger on your tastebuds good! The whole drive home I wanted to crawl in the back seat and eat the goodies I was taking home for my family. Besides macarons the Macaron Cafe also serves sandwiches and salads which I didn't try because I was seriously stuffing myself on macarons. As for the coffee- delish! I ordered an espresso and they ground the coffee beans right there before making it. Every cup is literally fresh ground and fresh brewed. Okay, typing this up my mouth is watering and my tastebuds are going thru withdrawal. My favorite flavor by far was the peanut butter, but you all know I have a weakness for peanut butter! I just wish I could order that flavor online. Oh did I forget to mention that? If you can't get to NYC you may order cookies from their store HERE and they'll ship them to you! Over all impression- amazing, melt in your mouth, linger on your tastebuds, forever craving good! 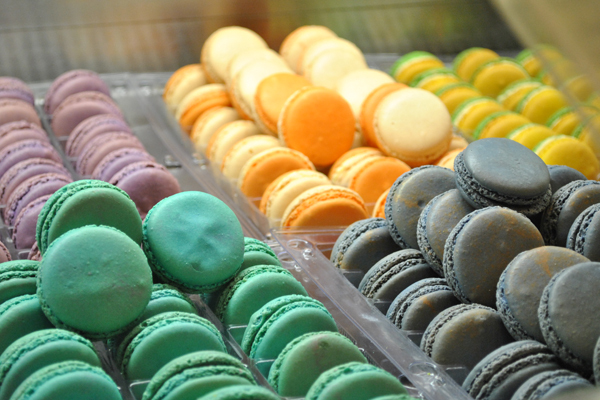 I am all about supporting local business which the Macaron Cafe is and I highly recommend that if you're in the area stop by for a taste. You will not regret it! I was in no way paid for this review from The Macaron Cafe. All I was given were a few cookies to sample. I am simply just voicing my opinion and sharing with you, my reader, something I loved and found interesting.